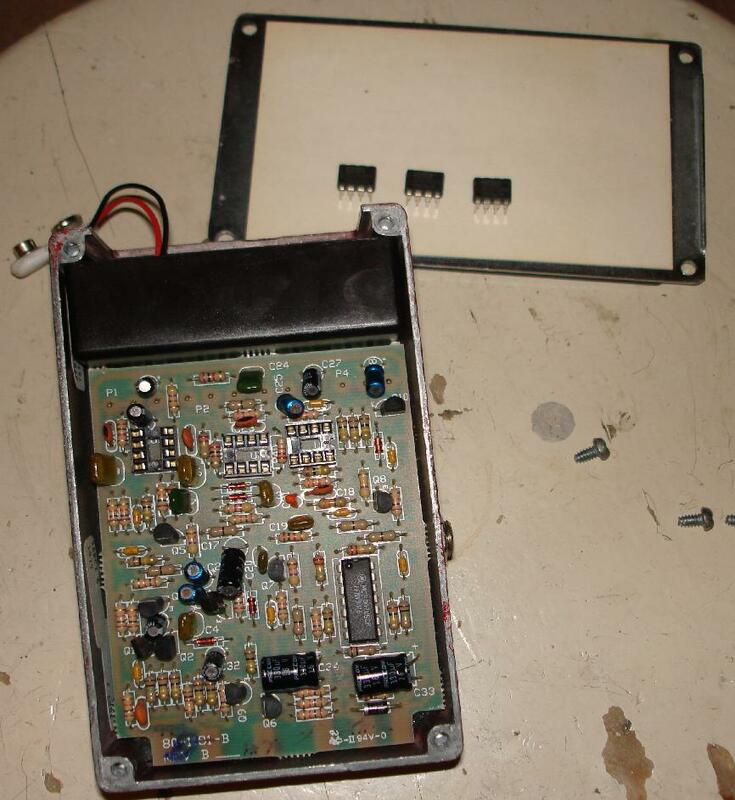 So I actually got this idea from my friend Jeff Blevins who modified his DOD YJM (the Yngwie Malmsteen pedal.. actually I recently ended up getting the same pedal and swapping out the opamps there for OPA2134 and OPA2604.. click here for info and mp3 files) by changing out their low quality opamp with a good one. This way it allows for removing of the current opamp and trying something new. 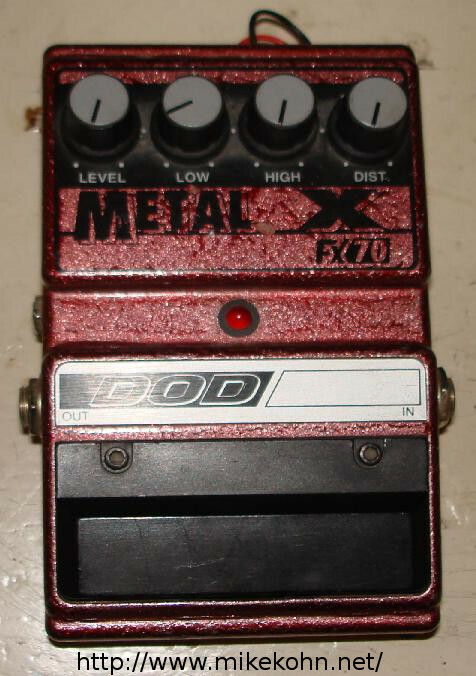 So I had this old DOD Metal X guitar pedal laying around that I got probably in 1993 or so felt like being cool and replacing the opamps in that. 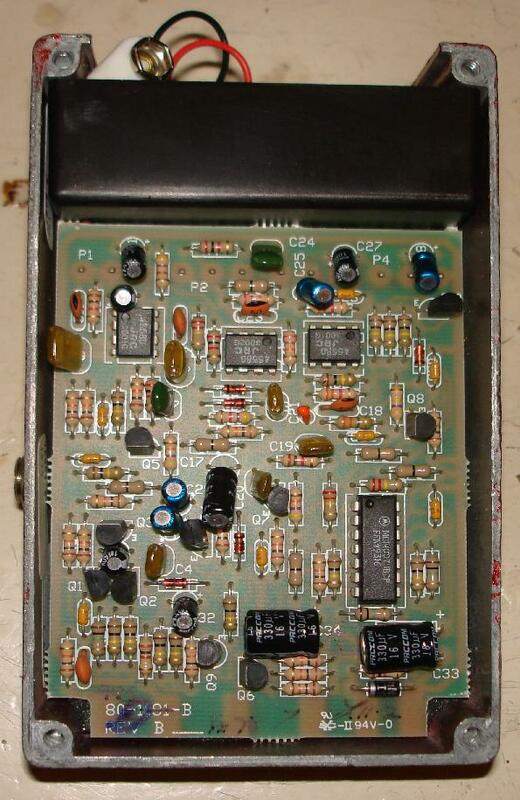 So anyway, it seems this DOD pedal was using three 4558 opamps which a quick search on Google seemed to not be the best opamp. I had some spare OPA2134's from some of my audio projects I've been working on so I decide to try these. So sound the quality difference. I think the OPA2134 has a much more warmer sound and more... I don't know how to describe it. It just sounds so much better than I remember it. Plus, the pedal is silent. Normally there is a bunch of awful amp hiss when you turn the distortion up, and I wasn't getting it with the new opamps. This kind of pisses me off that they tried to save a few pennies and made their pedal kind of crappy'ish instead of trying to make it sound good. I'm going to try and post some sound files soon. 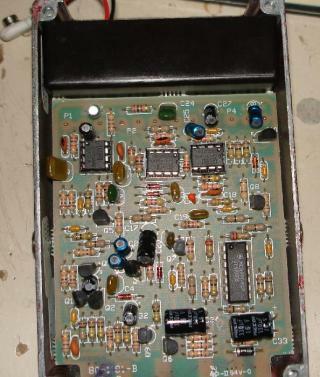 I just ordered some more 4558's and an opamp Jeff recommended to me (OPA2604) to try out. Based on price, from Digikey the 4558's were around $0.42, the OPA2134's were around $2.40, and the OPA2604's were $4.60, so if price tells quality (which between the OPA2134 and 4558's it seems to hold true), the OPA2604 should be impressive. I tried the OPA2604, but it just made some horrible screeching noise. So I tried it with 1 OPA2604 and 2 OPA2134's in 2 different sockets, I think I much prefer the sound of the OPA2134's. In the recordings above both were done with all the knobs centered except distortion slightly raised. I ran this all into a DOD digital delay to get the reverb and then into a Sovtek Mig-50 tube amp. 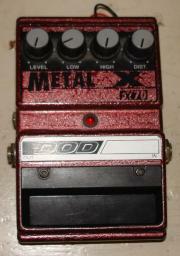 Here is the Metal X pedal completely assembled and ready to be taken apart. 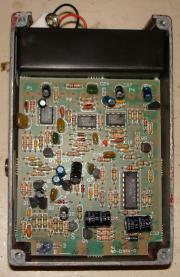 The back cover is off and the circuit board is exposed. 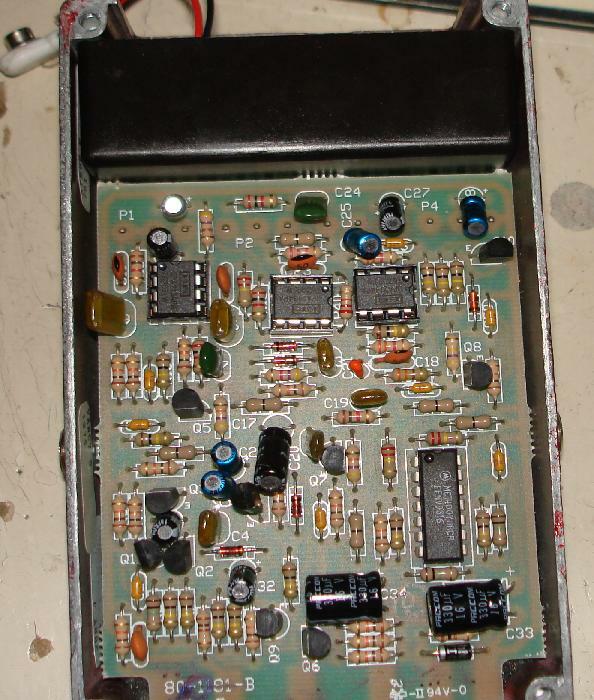 The opamps are the three 8 pin chips at the top. They are soldered directly onto the circuit board so I used some copper solder strand to soak up the solder and pryed them out with a screw driver. While prying the last pin out, I snapped the 22k ohm resistor between the middle and right most opamp :(. Luckily I had spares so I replaced that too. 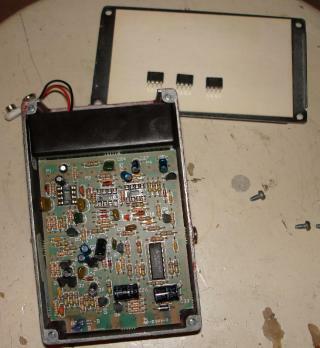 Here is the pedal completely in pieces. Actually, I didn't have to take some of the parts off that I did, but owell. I hope my parents don't see this page.. when I was a kid I used to take all my toys apart to see how they worked and they would get pissed :(. 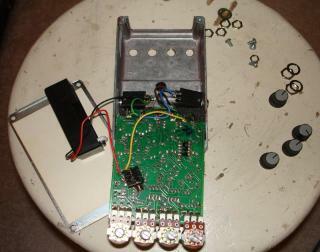 Here's the circuit board again with the opamps out and the sockets soldered in. This allows me to replace these opamps whenever I want and try something new for a new sound. The three OPA2134 opamps are sitting at the top outside the pedal. The new opamps are in and ready to be tested!